The IEE Wiring Regulations Cable Sizing study module is based on the British Standard BS 7671 "Requirements for Electrical Installations. This standard is the national standard in the United Kingdom for electrical installation and the safety of electrical wiring in domestic, commercial, industrial, and other buildings. 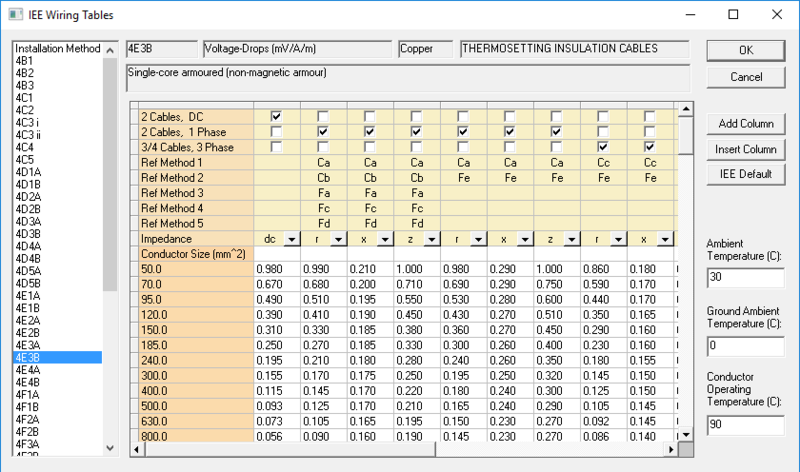 Calculate cable current-carrying capacity based on ambient temperature, grouping, thermal insulation, wiring ampacity, voltage drop tables based on wiring type, insulation type, and layout method. 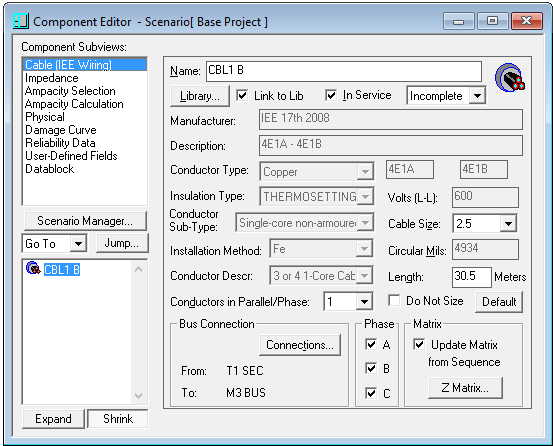 Design current can be calculated from the Demand Load Analysis program similar to the ANSI/NEC cable sizing. 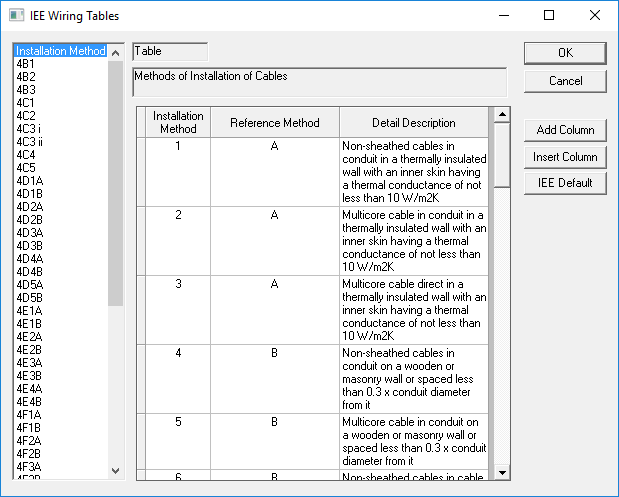 “Installation Tables” from BS 7671 predefined in the software and available from any cable for different installations, insulations, current carrying capabilities, and impedances.